Turn Times: Express in 1-3 Business Days (16GB Black & White Only), Standard in 10 Business Days. 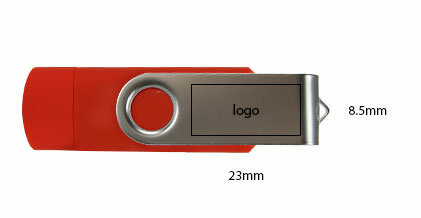 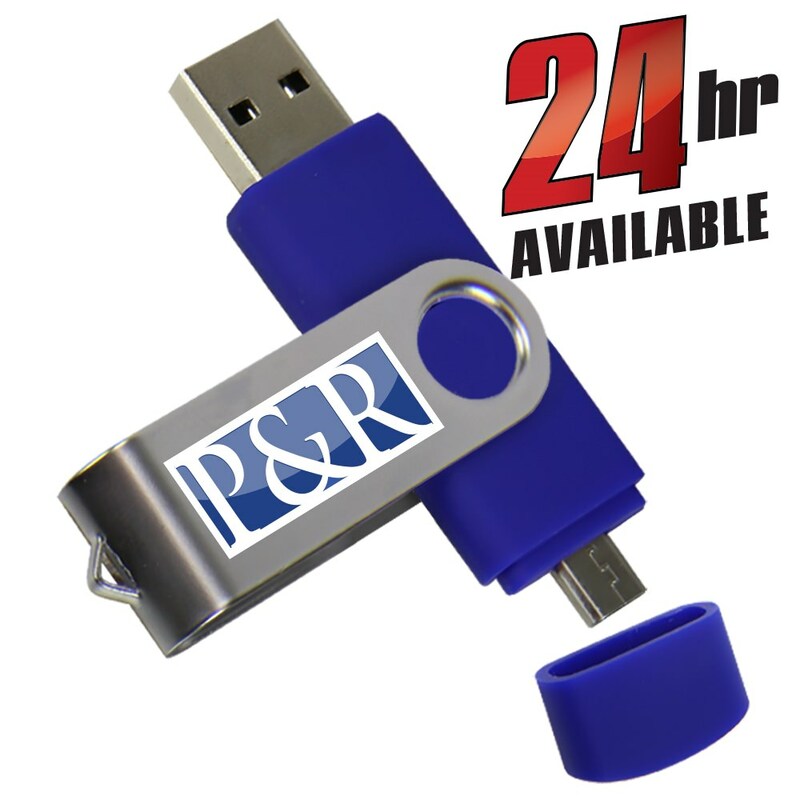 Increase your marketing numbers with the Dual Pro 2 in 1 promotional flash drive which features both USB and Micro USB connections! 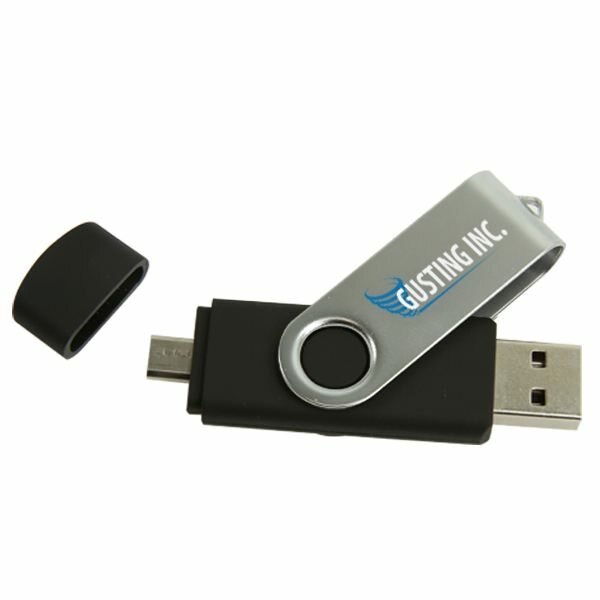 This is a great drive for multiple device use and therefore is an attractive asset to both potential clients and customers. 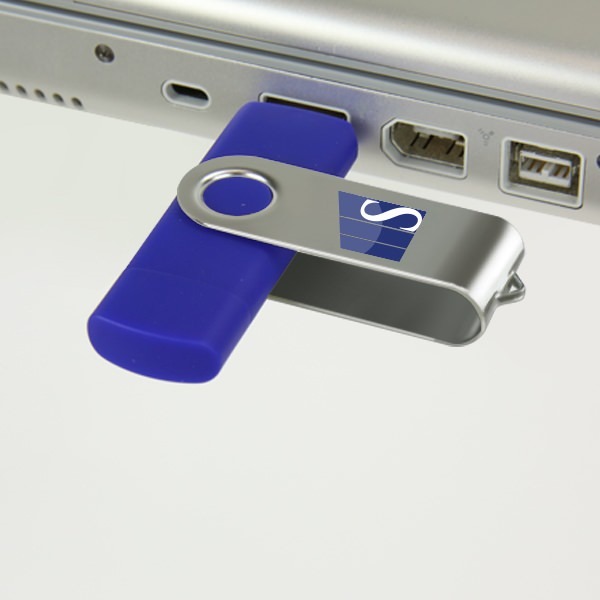 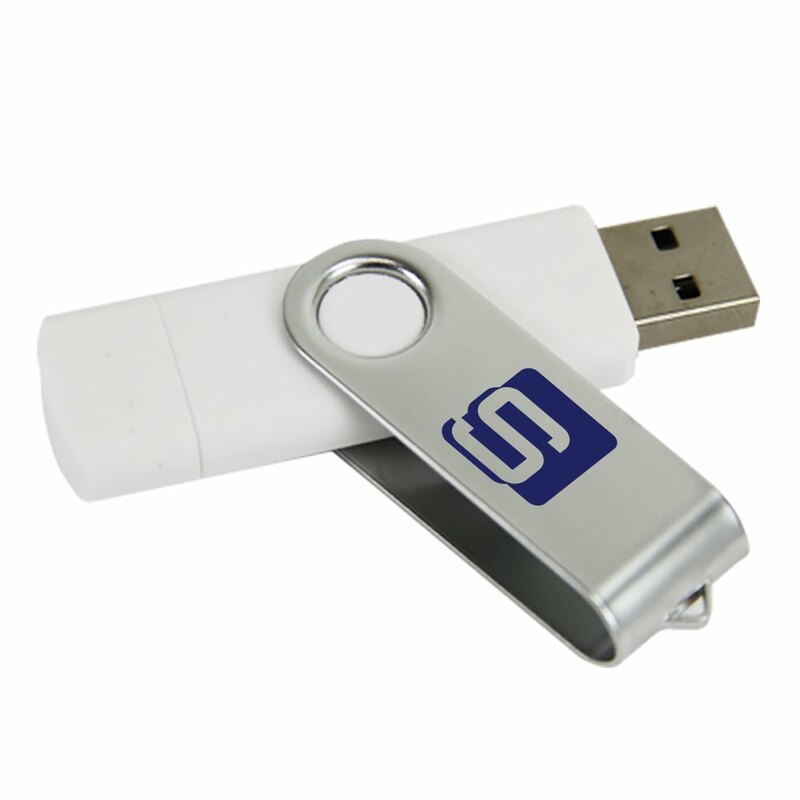 It is a good option for promotional purposes due to its practicality and available print space, which is ideally situated on the swivel closure that protects the USB connector. 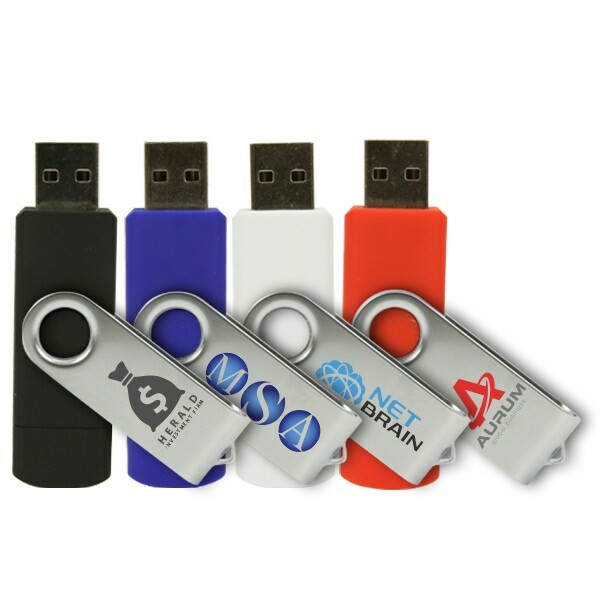 Sturdy, colorful, and valuable, the Dual Pro 2 in 1 is your ticket to your promotional dream.